San Francisco is full of fun for Tiny Travelers. We know the kids are out of school during summer, but if you visit San Francisco from September to November you’re likely to have much sunnier and warmer weather. June through August are typically 50°F-60°F, overcast and windy. January and February are also chilly, and most often rainy. For money-savings tips and general information in 13 languages, visit San Francisco Convention & Visitors Bureau or call them at 415/391-2000. 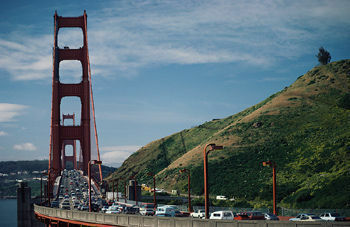 For the best San Francisco attractions for families with tiny travelers, read on! 415/623-5300This unique attraction lets kids get an up-close look at the aquatic life living in San Francisco Bay, by taking visitors down to a 400-foot transparent tunnel. Once you’re inside, look out for six different species of sharks and other marine life. Their free illustrated chart of indigenous marine life makes a great souvenir. 415/474-1887For kids who are amazed at the cable cars themselves, this free museum can be an even more exciting outing. You can discover what it is that makes the cable cars move, by watching the huge revolving sheaves in the ground. 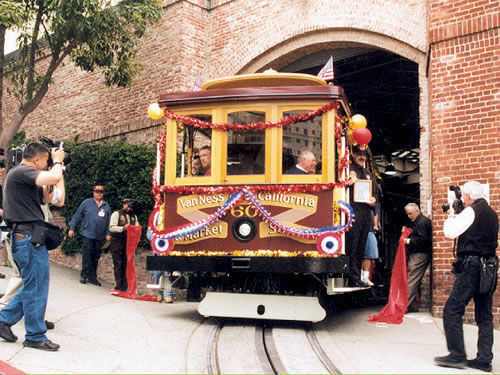 There are also several antique cable cars to look at and climb into at the mezzanine-level museum. One of the world’s largest natural history museums (with neat earthquake exhibits), a planetarium and an aquarium make this an all-day destination. 415/CAR-TOONNewly housed in the former Ansel Adams Museum of Photography, this heart of SoMa collection features rotating exhibits of favorite animated art from comics, movies and advertisements. 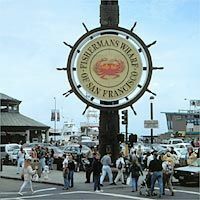 Walk the eight blocks that make up this waterfront district, and visit some of the sights (the historic ships’ museum at Hyde Street Pier and wax figures at “Ripley’s Believe It or Not” are two worth checking out.) Skip the souvenir stands and mediocre seafood restaurants. The area is colorful, noisy, and filled with free entertainment, like street performers, so most kids will enjoy it. Children can view artwork made by other children, both from the U.S. and abroad. 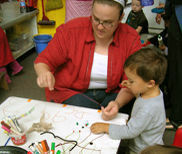 They can also create their own artwork, with the art supplies on-hand at the museum. The collection here is extremely impressive. This new 10-acre family entertainment complex has a bowling alley, indoor ice-skating rink, restored historic carousel and children’s play area in a garden setting. There is also a futuristic Metreon, Sony’s very commercial and so-far successful movies, shops, and restaurant-packed mall (800/MET-REON). A technology museum called Zeum (415/777-2800) is designed for kids 8-18, but there’s such a wide range of activities (many free) here that everyone in the family will be happy.